Sorry for the late post, but I received my kit from Morgana! Check out my blog for more details! 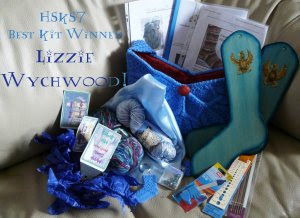 Before HSKS 7 closes forever, go check out my blog to see the FANTASTIC kit I received from Sian. She really did out do herself for not just one handmade item, but two. THANK you so much for it. I really like all of it. And thank you for being patient while I found all the parts and got them hooked up to show everyone. The picture is the portkey! Check out my kit from Winifred Hornswaggle for a glimspe of the best. chocolate. ever. 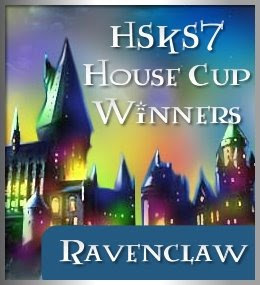 Time to announce the winners for HSKS 7!!! We had a fabulous turnout of voters for Best Kit and Best Bag this term! Thank you to everyone for your wonderful comments! The plaques have been made and Headmistress Wartbobble will be announcing the winners shortly! Thank you everyone for voting!! Sorry! Took me a couple of days to get in here and post the wonderful kit that Quinn sent. I lost my phone for a few days, which is the only camera I have right now. In any case, I did post this yesterday (not on my blog), but I wanted to get in here today and post the link for all to see. Please, click on THIS portkey to find your way. Today i got a package form Phelicia Phoenixfire! Pics in my blog. Okay, I finally got my awesome package picture posted! 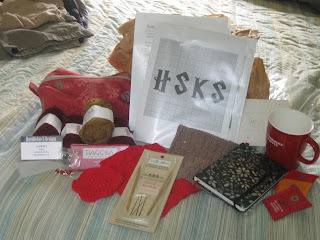 Check out the KnitPicks yarn in Gryffindor colors....enough to make the HSKS bag!!! The most spectacular Crystal Palace Needles! These are by far the nicest needles I have ever owned! There is some yummy tea with a super Starbucks mug. A beautiful journal to help me keep up with my projects and other things! A delicious candy bar! Beautiful...beautiful stitchmarkers by Bumblebirch Designs! Two washclothes and a coaster...all hand-made! And, last, but far from least a hand-made bag! I absolutely love it all and feel very, very spoiled! Thank you, thank you, thank you, Olive!!!! You are the best! There wasn't an owl large enough to handle the package, so it had to be delivered by Muggle Post. 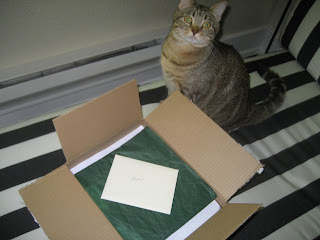 Check out MY BLOG for all the awesomeness that I received from Bella today! 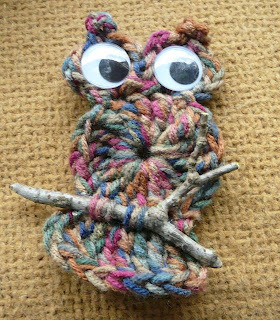 Just look at Madam Ferula Finnigan's sweet little owl! 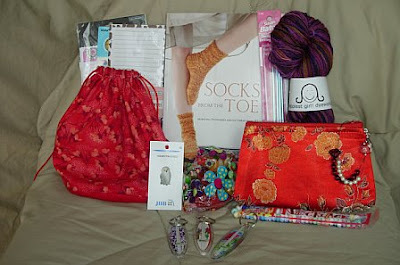 Then check out all the goodies he brought me, here! An owl arrived today from Lady Arabella! Check out what was in my kit! Best Kits Voting Has Begun! The pic is the Portkey to the contest and voting ends Sunday evening!